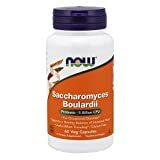 Saccharomyces boulardii side effects are not common when this supplement is used appropriately by healthy adults. This probiotic yeast has been rated as Likely Safe for oral use by the Natural Medicines Database. In some cases, negative effects from consuming Saccharomyces boulardii have been reported, including constipation, flatulence and bloating. These side effects may occur when first starting to take a new probiotic supplement, but generally dissipate following continued use. More serious side effects can occur if taking it for more than 15 months at a time. If you experience signs of an allergic reaction such as hives or swelling, discontinue use immediately. While safe for most people, Saccharomyces boulardii probiotics should not be administered to individuals who are immunocompromised, those with intravascular catheters or individuals taking certain antibiotics. Multiple cases of fungemia (S. boulardii detection in the blood) have occurred. This can have serious and potentially fatal consequences for individuals with weakened immune systems. Speak to your doctor to determine if this probiotic is appropriate for you. Saccharomyces boulardii is a strain of yeast that was first isolated from the mangosteen and lychee fruits in 1923. When administered as an oral probiotic supplement, it may support the immune system and digestive system. It has been found to inhibit the growth of pathogenic (infection causing) bacteria and to improve symptoms of gastrointestinal disorders. S. boulardii products are also administered to alleviate diarrhea in adults and children, help combat H. pylori and C. difficile infections, and to improve symptoms of IBS and IBD. A common use for this supplement is in the prevention of Traveler’s diarrhea. A meta-analysis of 12 studies found that using probiotics was a safe and effective way to alleviate diarrhea when travelling. In one study, Austrians who were given S. boulardii before travelling around the world reported fewer episodes of traveler’s diarrhea compared to those given a placebo. This probiotic yeast is often combined with other supplements such as Lactobacillus Acidophilus and Bifidobacterium strains to improve results. In healthy adults, Saccharomyces boulardii has a low risk of causing side effects. It only colonizes the gastrointestinal tract and does not spread to other parts of the body. There have been a few reports of gastrointestinal side effects in research studies that have examined this yeast. Constipation, flatulence, bloating, increased thirst, itching, urticarial, and skin eruptions have been reported, but are generally rare. This supplement should not be combined with Monoamine Oxidase Inhibitor drugs. In some cases, it has been reported to cause an increase or decrease in blood pressure when combined with MAOIs. It has also been associated with Quincke’s edema. While this supplement is considered Likely Safe for healthy adults, it is not appropriate for individuals with certain medical conditions. In some patients who have a compromised immune system, who are using antibiotics or who have catheters, there is a risk that the yeast may spread to other parts of the body through the blood. There have been a number of documented cases of fungemia that have been caused by Saccharomyces cerevisae (boulardii). Most of these cases involved patients who were very ill and were classed as immunocompromised and were hospitalized in ICU. Another case reported was of severe sepsis and fungemia with Saccharomyces cerevisiae. A bloodstream infection Saccharomyces cerevisiae was proven by several cultures. Symptoms of infection include chills, high fever and a persistent cough. Fungemia is the presence of fungi in the blood. Immunocompromised people are at risk as well as those on dialysis, burn patients, diabetics and people using broad-spectrum antibiotics and steroids. The symptoms of Fungemia include serious flu-like symptoms, mental confusion, chronic fatigue, pain, the presence of infection, muscle fatigue, edema and sleeping problems. A clinical study published in the Turkish medical journal Mikrobiyoloji Bülteni in April 2014 profiled an elderly women’s case showing that clinicians should still use caution when using probiotic application even though in encapsulated form. The patients in the study were immunocompetent patients with a history of long-term hospital stay and use of broad-spectrum antimicrobials. This type of patient presented a risk of S. cerevisiae fungemia development. The elderly women had a central venous catheter (CVC). Because the probiotic capsules that were used had been unopened, it is thought that the S.cerevisiae fungemia was contracted from translocation from the intestinal mucosa. A clinical study published in the International Journal of Immunopathology and Pharmacology in January 2014 showed Saccharomyces cerevisiae fungemia is a risk when treating Clostridium difficile colitis with a probioticum. This patient was treated for Clostridium difficile-associated diarrhoea (CDAD) with an oral dosage of S. boulardii and vancomycin (antibiotic used to treat infections of the intestines that cause colitis). The identification of the S. cerevisiae was confirmed by molecular technique (analysis of the genome for microbial identification). A clinical study published in BMJ Case Reports in March 2012 where S boulardii was used in a probioticum (Sacchaflor) to prevent antibiotic-associated diarrhea and in the treatment of recurrent (CDAD). The case was involved a 79-year-old woman with rheumatoid arthritis who developed S boulardii fungemia after a bowel resection. She was treated with S boulardii after developing (CDAD). The study concluded that clinicians needed to be reminded of this risk when prescribing probiotics to immunocompromised patients. Another 57 cases of S. cerevisiae fungemia were reviewed with 60% of these patients in the ICU. Seventy-one percent were receiving enteral or parenteral nutrition and 26 patients were receiving probiotic treatment. Seventeen of these patients died. The strain in the probiotic capsules and the clinical isolates were identified as S. cerevisiae with identical DNA fingerprinting. The clinical study concluded the use of S. cerevisiae probiotics need to be reassessed with immunosuppressed or critically ill patients. A clinical study published in the European Journal of Clinical Microbiology & Infectious diseases in January 2000 concluded that there may be a role of catheters in Saccharomyces boulardii fungemia infection. Four cases of Saccharomyces boulardii fungemia which is considered a very rare side effect of Saccharomyces boulardii therapy were reported. All the affected patients had an indwelling vascular catheter. The study concluded that catheter contamination may have been a source of infection. The study suggested that to prevent catheter contamination packets or capsules of Saccharomyces boulardii should be opened with gloves, outside the patient’s room. Unless otherwise directed by a medical professional, probiotics should not be taken whilst pregnant or breastfeeding. Those with SBS (Short Bowel Syndrome) should avoid taking probiotics. Saccharomyces boulardii use by those with impaired immune systems risk developing Saccharomyces cerevisiae fungemia and should avoid using this probiotic. Saccharomyces boulardii side effects are rare and generally mild for the majority of users, but this probiotic supplement can cause complications in certain cases. Speak to your doctor to find out if this probiotic is safe for you to take. Eren Z, [Saccharomyces cerevisiae fungemia in an elderly patient following probiotic treatment]. Mikrobiyol Bul 2014 Apr;48(2):351-5. Santino I, Saccharomyces cerevisiae fungemia, a possible consequence of the treatment of Clostridium difficile colitis with a probioticum. Int J Immunopathol Pharmacol 2014 Jan-Mar;27(1):143-6. Thygesen JB, Saccharomyces boulardii fungemia caused by treatment with a probioticum. BMJ Case Rep 2012 Mar 27;2012. pii: bcr0620114412. doi: 10.1136/bcr.06.2011.4412. Muñoz P, Saccharomyces cerevisiae fungemia: an emerging infectious disease. Clin Infect Dis 2005 Jun 1;40(11):1625-34. Epub 2005 Apr 25. Hennequin C, Possible role of catheters in Saccharomyces boulardii fungemia. Eur J Clin Microbiol Infect Dis 2000 Jan;19(1):16-20. Lherm T, Seven cases of fungemia with Saccharomyces boulardii in critically ill patients. Intensive Care Med 2002 Jun;28(6):797-801. Epub 2002 May 10.